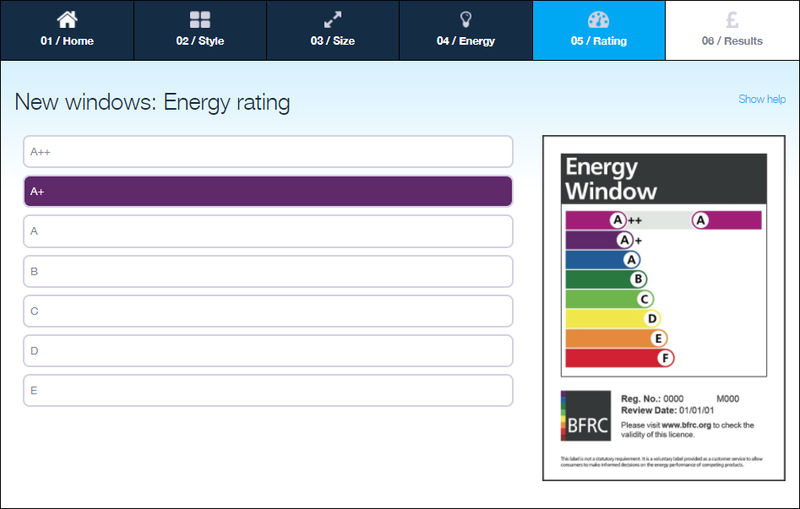 Window Energy Ratings let you compare the energy efficiency of different window products. Find out how they can help you select the right windows for your home. The windows you select for your home can help make a difference to the warmth and security of your living areas. When energy efficient windows are installed correctly, they can reduce heat loss from the living spaces in your home. 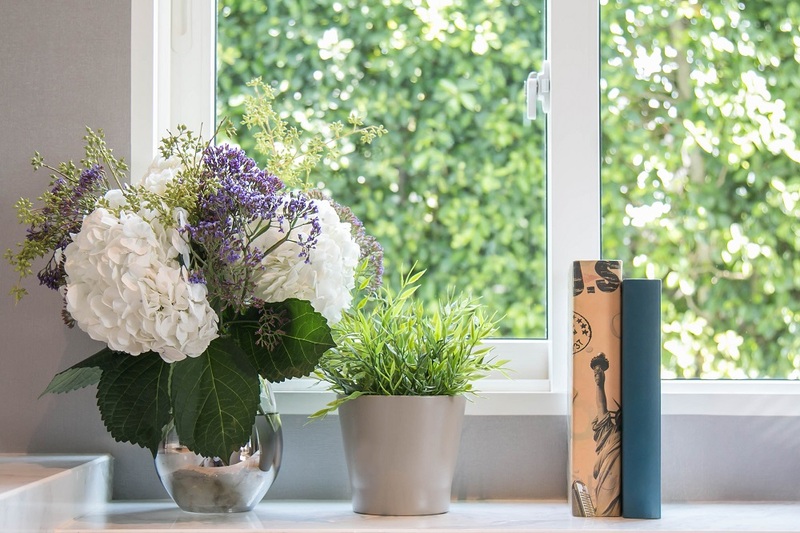 Windows with superior thermal performance can even save you money in the long term, as a reduced dependence on fuel to heat or cool your home translates to savings on your energy bill. However, windows that provide a poor level of energy efficiency can be a major source of heat loss, resulting in a higher spend on energy. To find out how energy efficient a window product is, look for the Window Energy Rating label. Colourful Window Energy Rating labels provide an easy way to see how different window products compare when it comes to their energy efficiency. The ratings labels have a similar ‘rainbow’ design as energy labels used on home appliances such as refrigerators and washing machines. 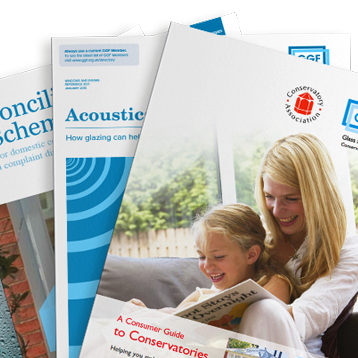 There are several energy rating schemes for windows, the most widespread being those operated by the British Fenestration Rating Council (above left), the British Standards Institute (above centre) and CERTASS (above right). Each, however, works in the same way. Letter ratings are given to window products based on the energy performance of the whole window, including the frame material, frame design, glass type and other components. An A+ rated window is more energy efficient than a C rated window. 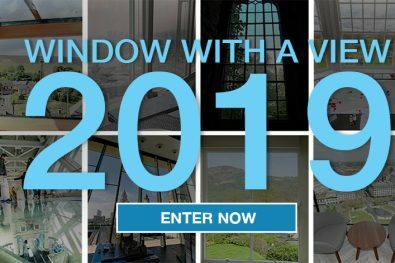 The letter rating is calculated using a formula that takes into account the window product’s overall thermal efficiency, air leakage and solar gain (how much heat from the sun passes through the window). 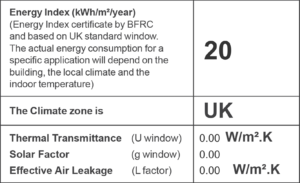 The BFRC Energy Window label utilises a traffic light A++ to E scale on the basis of total energy efficiency, where an A++ rated window is the most energy efficient. 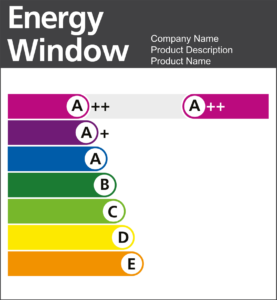 A window product’s rating is listed at the top of the label using a letter and associated colour band. This rating can be used to compare several window products on the basis of energy efficiency. A++ is the most energy efficient. Further down the label is the window product’s Energy Index, determined by a formula which takes into account available solar heat gains (window g-value) and subtracts the thermal losses (window U-value and air leakage). 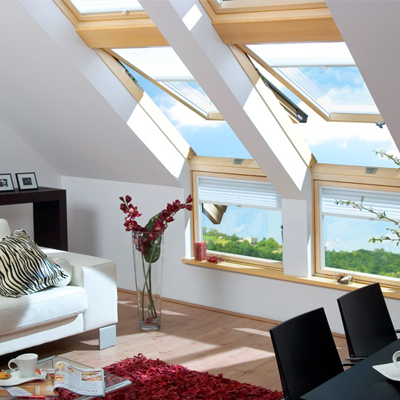 The BFRC label also lists the window product’s Thermal Transmittance, Solar Factor and Effective Air Leakage. At the bottom of the BFRC label is further information related to the rating, including the date it was awarded and a link to the BFRC website where it can be verified. Window Energy Ratings only provide an indication of the level of efficiency offered by the window product itself. The amount of potential energy saved once the window product is installed in a home will also depend on a number of other factors, including the location of the window, other installed insulation, the building’s orientation and the efficiency of the heating system, amongst others. 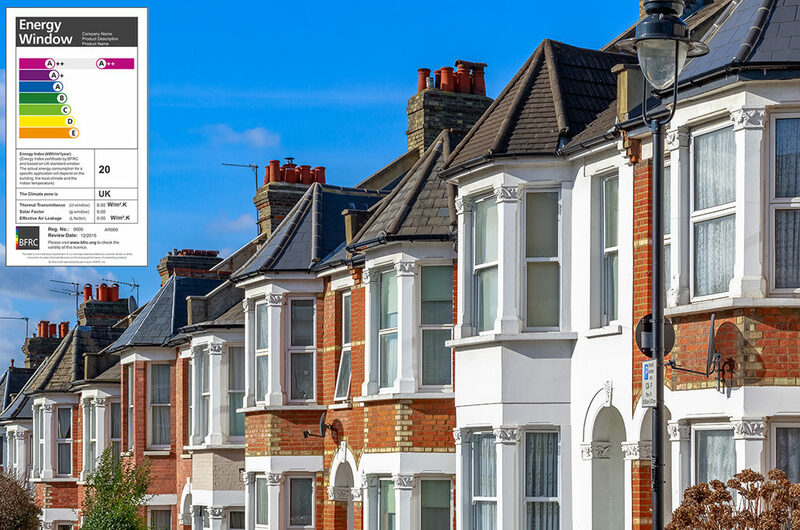 The GGF Energy Savings Calculator allows you to calculate how much energy, carbon and money you could potentially save by replacing your existing windows with more energy efficient products. This is helpful as you can see how products with different Window Energy Ratings could affect your future energy savings. Use the GGF Energy Savings Calculator to compare the potential energy saving benefits of installing window products with different Window Energy Ratings. Which Window Energy Rating should I choose for my windows? Window Energy Ratings allow you to compare potential savings. These ratings are determined by computer modelled simulations which are very accurate. It is therefore fair to say that those window with the highest rating will offer the most potential saving. 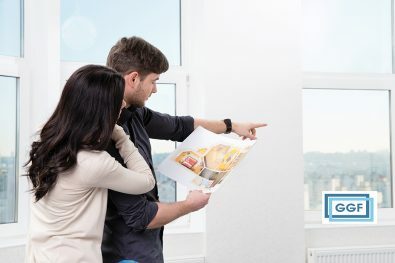 One window product can have a superior energy rating to another, however, it falls to the person making the buying decision to take into account a window product’s energy efficiency alongside the other important factors. These factors may include your budget, design requirements, material preferences and planning restrictions. Do new/replacement windows have to meet a minimum energy rating? The latest Building Regulations require that all newly installed windows must meet the requirements of a C rating. The exception to this is windows fitted into listed buildings. Must all windows carry a Window Energy Rating label? No. It is not a statutory requirement for window products to feature a Window Energy Rating label. This is a voluntary label provided to help consumers compare the energy performance of different window products. How much could energy efficient windows save me on power costs? The GGF Energy Savings Calculator will allow you to see what potential energy cost savings you could enjoy by installing energy efficient window replacements.